Wide Gape Hooks. Carp Fishing Tackle. 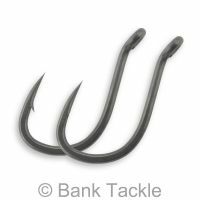 Wide gape hooks have been around for many years now and have proved to be one of the most effective hooks in the carp fishing world. 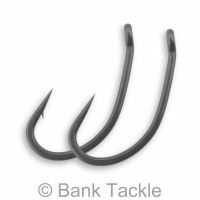 Wide gape hooks are very versatile and can be used for many different rig set ups but are most commonly used with a standard hair rig. 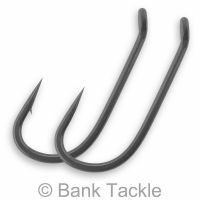 The aggressive pattern allows for extremely good hook holds and if presented correctly will turn bites in to fish on the bank. 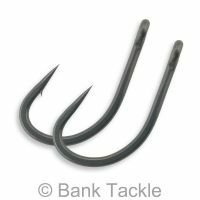 The wide gape hooks in this range have an in-turned eye and aggressive talon tipped beaked point. Available in sizes 2, 4, 6, 8 and 10, in both micro barbed and barbless. These are the only hooks that I use now and there are many reasons behind it. Firstly, they're the first hooks that I've came across that genuinely are all sharp out of the packet. Never had an issue with the points. As for the strength of the hooks, can't be faulted. They are very strong and sharp hooks and I have full faith in using them. Would 110% recommend them to anyone. these hooks are second to none, never let me down. always have faith that these will land me all my takes. top quality at excellent prices. Quality hooks. Genuinely surprised at how good these are, especially for the price. 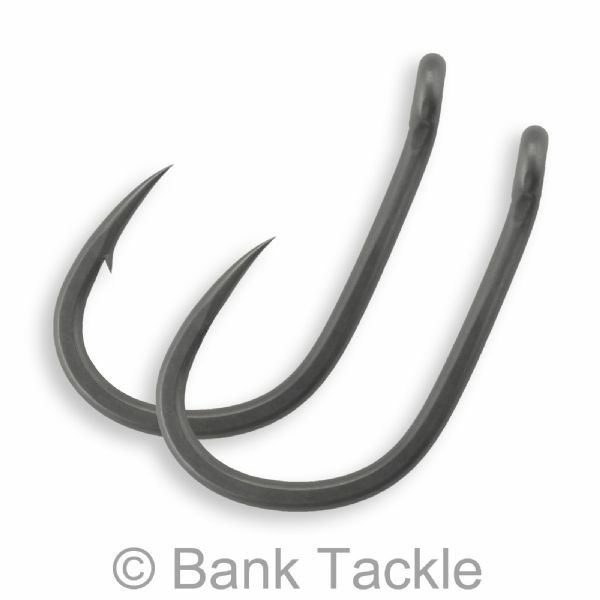 They are very well made hooks with a great finish and they are very sharp. I would highly recommend these. Thank you Bank Tackle for providing great products at great prices. I've gone from using mainstream named hooks to these bad boys.. Amazingly sharp. Not had a single hook break. And they nail every time. Cheap but most certainly better than cheerful. Full marks bank tackle..
Ive always been very particular when it comes to choosing hooks I used to use a very well known brand of hook until I got my hands on a the new range from these guys I mainly use the wide gapes and boy not only are they sharp they stay sharp quality tackle at quality prices with a top quality service thanks again guys. Really nice hooks. Hard to tell them apart from the popular big brand wide gapes. In fact, if I mixed them all up... I doubt I could. Very sharp straight from the packet and we'll finished. Used them for chub and barbel on the Ouse so far, not tested in the weedy situations but they do seem strong.